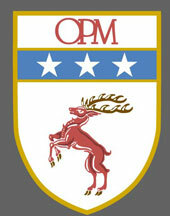 At OPM we are determined to make products of fine quality and design. We have over 21 years of design experience. All of our products are crafted of metal and made in Sherwood Oregon. Our Products are as unique and diverse as the industries and customers we serve. We create our products with an approach of organization for your life. Whether it be your desktop at work, the cable lines outside of your home or the need to secure your personal belongings. Our design team focuses on material and design details, combining function and structure to create products that are practical and durable.